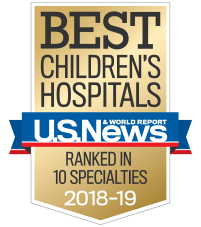 One of the largest multispecialty pediatric physician practices in the Southeast, with more than 500 physicians who are employed by Children's and/or serve as pediatric faculty members at Emory University School of Medicine. Children’s Physician Group pediatric specialists are experienced in the medical and surgical management of children and teens with all types of conditions, from common to complex. Our providers offer the same level of commitment and quality pediatric care that you’ve come to expect from Children’s Healthcare of Atlanta. From allergy shots to routine and complex surgeries, Children’s Physician Group enables you and your family to see pediatric specialists that are part of the Children’s Healthcare of Atlanta team. What is Children’s Physician Group? Our pediatric-trained doctors and surgeons represent more than 30 pediatric specialties and participate in a variety of multispecialty clinics. These services are offered in convenient locations across 12 counties in Georgia, including our three hospitals and more than 25 neighborhood locations. Why choose Children's Physician Group? With more than 500 doctors 350 advanced practice providers, Children's Physician Group is one of the largest pediatric multispecialty physician practices in the Southeast. Our providers are dedicated to children and represent more than 30 pediatric specialties—from allergy to immunology to ENT to neurosurgery to orthopedics, we cover the entire spectrum of care. Children’s Physician Group also offers 25+ locations across metro Atlanta and surrounding communities, including Athens, Columbus, Newnan and Thomasville. Combining our convenient access with the latest proven technology and research with a caring, child-friendly approach, makes Children's Physician Group a top choice for the treatment of common and complex conditions. The expertise of our pediatric specialists is available to patients and healthcare providers through telemedicine. An easy-to-use service, telemedicine offers patients and providers remote consultations, evaluations and training using live video. Sign up for this online tool to help you access your child’s medical records and securely communicate with your healthcare team.